What looks more retro than wearing a pair of spats boots. Spats have that 1920s thing going on in a way that other shoes and boots for men don't. 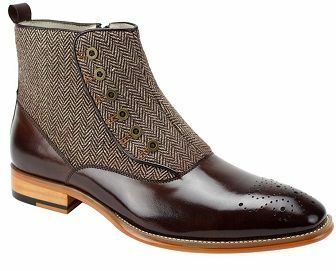 These brown color spats feature a combination of both brown leather uppers with tweed for a welcome contrast. Medium width.